Archpriest Vsevolod Chaplin, Deputy Chairman of the Department for External Church Relations of Moscow Patriarchate of Russian Orthodox Church, spoke to Russia Today on the importance of the re-unification of the Church. Russia Today: The atmosphere at the ceremony itself was pretty cheerful but the run up to the unification was not so smooth. Why are so many people of the Orthodox Church abroad opposed to this unification? Archpriest Vsevolod Chaplin: Not too many people in fact. I think that several personalities, several very noisy personalities were very active on the internet and some magazines and newspapers were against and I think those people like more their personal role in the history of Russia than the role of the Church or the history of Russia itself. Those are basically very small groups of people who claim to be the only true church in the world, the only group of pure Orthodox believers. People who have the only recipe of how to save Russia from communism and some of these people still think that Russia is a communist country governed by the Communist party, commissars with old-fashioned gangs etc. I think that it is absolutely clear that if you just look at those people who were present today at the liturgy and at the ceremony of signing of the act that about one third of the clergy was present there. Many successors of the Russian emigrants in several generations were present there and that shows very clearly that the absolute majority of the Russian Orthodox Church abroad is supporting the re-unification. And this is very natural because these people, most of whom are people of the Russian descent, love Russia and understand that many things have changed in the life of the country and they want to change things even more by participating, not by criticising from outside. RT: No significant opponents, thank God to the unification. Also the mediators from both the religious and secular communities have been involved. Why do you think there were so many non-church figures involved in this process and what role did they have to play in unification of the two churches? V.C: The process itself was organised and was carried on by the churches themselves. The most important part of the process of the dialogue was the work of the two commissions. The commission of the Church abroad and the commission of the Moscow Patriarchate which were meeting from time to time during several years and discussed all the difficult and divisive points of the common agenda. Of course the role of several people in power, including President Vladimir Putin was important because in a way the mentality of the old Russian emmigration was to a certain extent based on the idea that the authorities of Russia are still the successors of the communist destroyers of the country. And the very fact that the head of the state and other people in power showed very clearly to the leadership of the Russian Orthodox Church abroad that they are not the enemies of their own people, that they are not the followers of the old Soviet model of the state, that they are sincere Orthodox Christians, that they are looking for some wisdom from the so-called White movement or white part of the Russian emmigration. That, I think, convinced many people in the leadership of the Russian Orthodox Church abroad. And in this case, of course, in this sense the living experience of contacts with President Putin, with several ministers, several public activists, several people in the Russian State Duma was important but, of course, the dialogue itself was a purely church matter and I think we needed a profound dialogue which involved many elements of the Cchurch teaching, church order. We had sometimes uneasy discussions, but these discussions finally lead to this day and I think that it is very natural. RT: Let us talk about Metropolitan Laurus and what his function and status is going to involve as from today, because until today he was a head of the Russian Orthodox Church abroad. What is his role going to be in a unified church? Is he going to be under Patriarch Aleksy II or he is going to keep some sort of independence? V.C. : He remains the first hierarch of Russian Orthodox Church abroad and I think he is going to continue in full his responsibilities as the first hierarch, as the chairman of the Synod of the Russian Orthodox Church abroad, as the person responsible for virtually every aspect of life of the diocese s of his church which under his guidance will keep wide independence as it is in the cases of the Orthodox churches in Ukraine and Belarus. It is interesting that many decisions of these churches, of their Synods, of their Councils of Bishops, etc we know in Moscow only because we have access to the internet. I think it will be the same in case of the Russian Orthodox Church Abroad. Certainly the candidacy for the first hierarch will be approved by the Holy Synod, formation of the new dioceses, appointment of the new bishops will be approved by the Holy Synod of the Russian Orthodox Church here in Moscow, but if we consider Belarus, Latvia or Estonia I can hardly remember the situation when the Synod in Moscow had to interfere into internal affairs of these churches. Earlier, Archpriest Vsevolod Chaplin commented for Russia Today on Boris Yeltsin's funeral ceremony and the modern role of the Russian Orthodox Church. 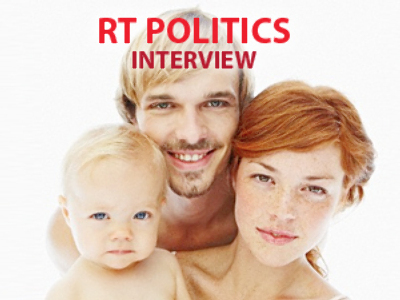 Russia Today: Do you think this is going to set a precedent for future Russian presidents? Vsevolod Chaplin: It depends upon the presidents themselves and their members of family. I think Mr Yeltsin went a very long way from disbelief to belief. He identified himself as an atheist 10 or 15 years ago. Then he started praying and visiting holy sites. During his last visit to the holy site in Jordan, to the place of the baptism of the Jesus Christ he said there is something religious in his heart and his soul. It is important we saw not only repentance and change in life of that person but also repentance and change in life of Russian society as a whole. RT: What is happening to Boris Yeltsin's soul? RT: Has it already left the body? V.C. : Yes. We deeply believe the prayer helps the soul. Helps the person who left this world to stand before the seat of judgment and be justified, helps to talk to God and the inhabitants of the other world. RT: Is it important that Yeltsin abandoned his religion during Communist time and then went back to it? V.C. : I do not think he ever was a Christian during the Soviet time or brought in Christian spirit. He was baptised by the senior members of his family. He was not a Christian before the last several years of his life, probably before 2000. I think he first began to speak about himself as a person having some religious feelings in 2000, soon after his resignation. He visited Jerusalem and came there in the time of Orthodox Christmas. RT: If he had not have been Orthodox Christian before he died would the Orthodox Church have allowed him to have this funeral service? Especially bearing in mind what he did for the Orthodox Church. V.C. : We do believe that if the person is baptised in the Russian Orthodox Church the person is worthy a church funeral unless he is an open atheist or converted to another religion. RT: What does it mean for the Russian Orthodox Church as an institution to be able to give Yeltsin this funeral service? V.C. : We pray for every deceased Orthodox Christian. It is our duty. RT: Why are there three priests leading the ceremony? V.C. : It was the decision of the Patriarch to ask three bishops – Metropolitan Juvenaly, Metropolitan Kirill and Metropolitan Klement – who are the members of Holy Synod to conduct this ceremony. RT: Give us a brief synopsis of the cathedral the ceremony is conducted in. V.C. : The Cathedral of Christ the Saviour was built after the 1812 Patriotic war as a monument to its heroes. Then it was destroyed by Stalin in the 1930s. It was blown up and a swimming pool was built in its place. Communist authorities were planning to build a Palace of Congresses there but it never happened because of WW2 and technical difficulties as the cathedral was built on the wooden basement which worked well. But the Communists tried to build the palace on the metal basement which was not fit for this plot. The place was almost empty except for the swimming pool. Then the cathedral was rebuilt after Yeltsin's decree. It started in mid 1990s and the cathedral was finished and consecrated in 2000. RT: Have many people returned to the Orthodox Church since the collapse of the USSR?